As a family based business, we believe in giving back in everything we do. When we first took over running Boodee Beg we set up the Boodee Beg shop....it was run by our kids, Iain and Hannah as a way to earn money to help the local shelters. The small shop located in the reception area of the cattery sold small items like toys, treats, cat beds, carriers etc. and we donated 100% of the profits to our local charities...the Mann Cat Sanctuary and the Manx SPCA. But our little shop didn't do very well...we sold a few items, but not really in the quantity that we needed to properly give to our charities that do such great work in our community here in the Isle of Man. So we sat down together as a family and thought about different ways we could make a BIGGER difference not only here in the Isle of Man, but across the UK. Sitting around our dining room table, My Purrfect Gift Box was formed. It took Kim's love of getting surprise cat themed gifts combined with the desire to make a difference in the lives of cats. 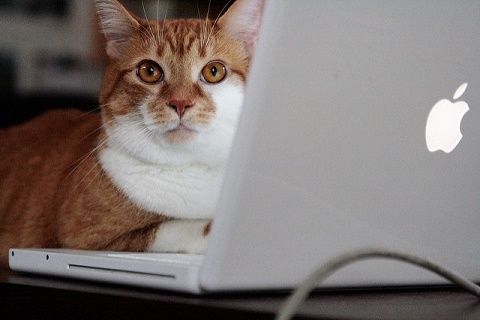 Each quarter we choose to focus on a different cat charity, rescue centre or shelter and highlight the work they do through our social media sites and through information that comes in each box. We then donate 5% of all our profits from that month's box to our chosen charity of the month. So you can be confident that with every My Purrfect Gift Box you receive, you are also giving to help support the lives of cats. Thank you! .Are you ready to get your own My Purrfect Gift Box? This is Popski - Chief Kitty Treat Tester. 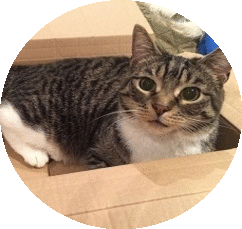 Popski is the newest member of the My Purrfect Gift Box team. 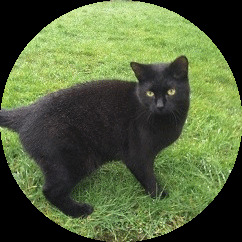 He has fit into the team well and when not testing all the new kitty treats, loves twitching his stubby tail (he is a Manx cat), flirting with Kanty (who isn't interested) and watching the chicken playing in the garden. Popski has been resident in our cattery for several years as his owner was elderly and couldn't care for him on her own. She has now agreed that he could have a much better quality of life living in the house with us. We couldn't more thrilled! This is Kanty - our Chief Box Inspector. 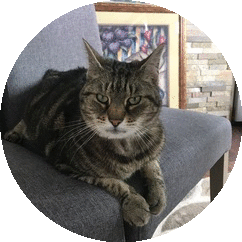 When not testing out boxes, Kanty can be found mothering Ashkii, finding 'presents' for Kim, meeting and greeting our cattery customers or sleeping on Hannah's lap or snuggling up with Iain in his bed. She was a rescue cat from our local shelter - the MSPCA . This is Ashkii....Chief Kitt y Toy Tester. When not trying to steal all the gifts for kitties that go into our boxes, Ashkii can be found outside catching shrews, chasing butterflies and snuggling up to Kim on the sofa. Ashkii decided we would be his forever home by hiding in our garage for 3 months. We finally caught him and convinced him that life inside the house was much better than life in our garage!